← Age Impresses, Youth Prevails. 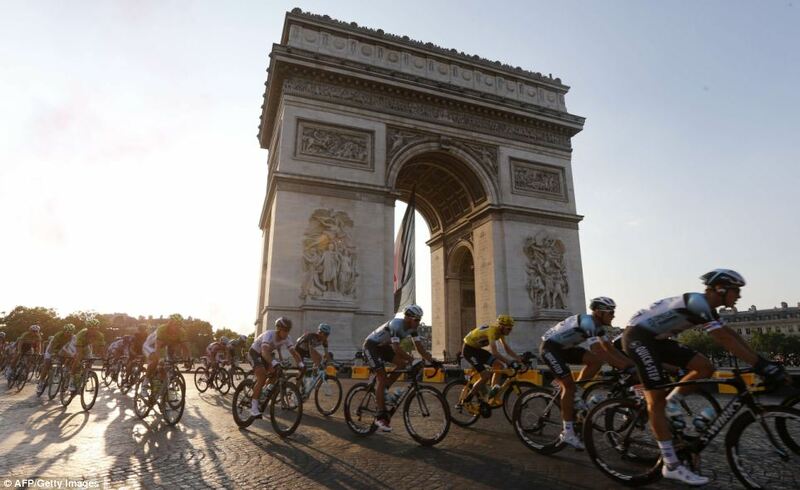 From a chaotic beginning to a first-time evening end, along with everything good, bad, high and low spanning three weeks time, the 100th Tour de France has reached its always much-celebrated final destination. With the major standings in place, one big question of course remained to be answered at the last moment of stage 21: Would the Missile get his beyond record-breaking fifth consecutive win on Le Champs-Elysees? The peloton arrives in Paris on a perfectly picturesque evening. Yes, his goatee is green too! Peter has his green, Nairo has his white AND his polka dots, the U.S. got a top-ten overall win even without any stage victories, and as we knew for a while would be the grand result, Chris Froome keeps yellow as the winner of the Tour de France. On the other end, fun-themed Orica GreenEDGE— seeing all nine teammates to the finish– includes 36-year-old rookie Svein Tuft in last place overall– a distinction Phil Liggett quickly reminded us today that for the feat of completing this 3404-kilometer journey, carries no disgrace whatsoever. The final finish in Paris ends the 100th Tour. As for Cavendish, certainly no disgrace for him either. It was close– very close— as his four consecutive Paris stage wins stand as a record not about to be broken, yet not to be added to today. He lost his would-be fifth by a bike length to none other than “new sheriff” Marcel Kittel. 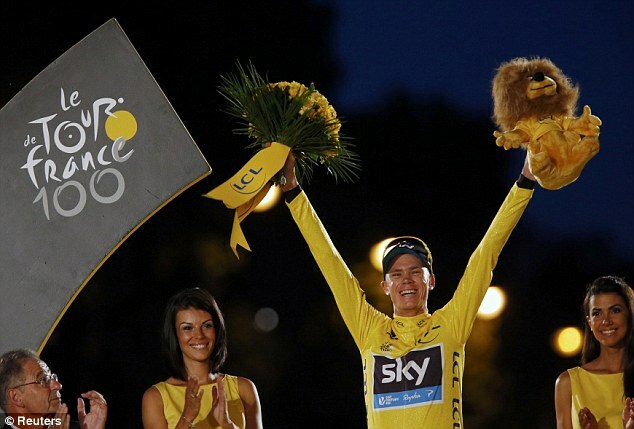 Chris Froome takes the first-place podium on this Paris night. The leading color of the evening’s celebration! 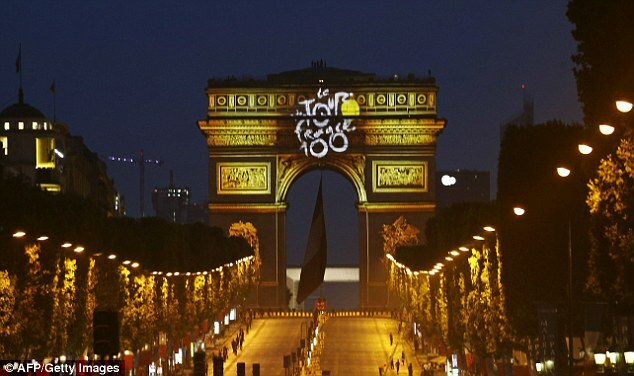 Altogether, another spectacular French summer display of professional cycling prowess has now come and gone, all the more colorfully concluded with Paris’ well-planned Centennial year celebration. Personally, I’m happy to have been able to stay in the cycling spirit with my own rides on every day of this Tour. More than ever I look forward to my own miles to come in the saddle– as well as those of the awesome pros!